I am lucky, a big part of my job is chatting with people about their gardens. Admittedly this is an enjoyable occupation. One topic, always challenging, is debunking the myth that natives lack color and excitement. I could write endless pages on the benefits of native plants, but right now I just want to show you some color and excitement. Check out these easy to find, easy to love, native plants. 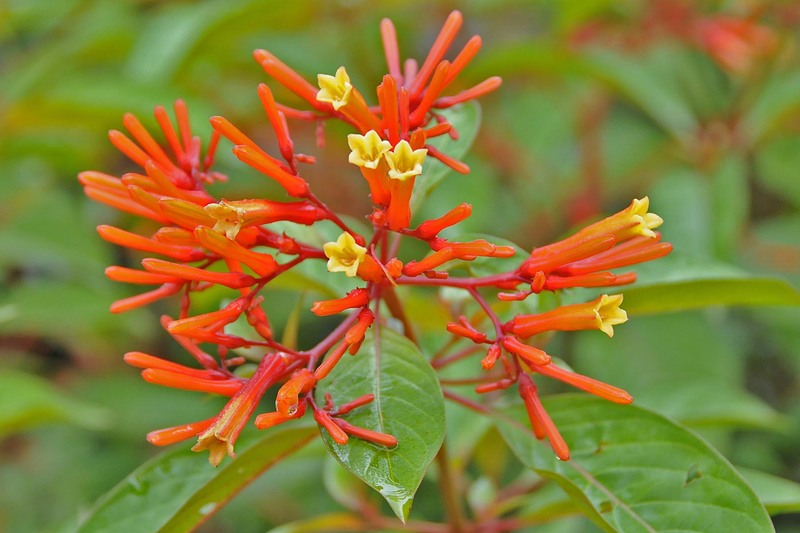 Firebush attracts butterflies and will quickly provide a nice privacy buffer. 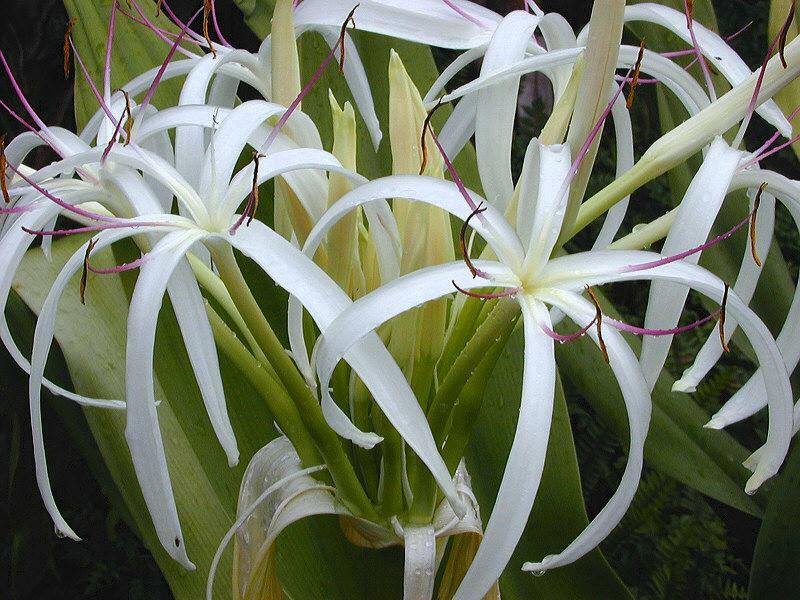 Crinum lily is usually used as an accent, punctuating a bed of low groundcovers. It also is interesting as a massing under large trees or palms. 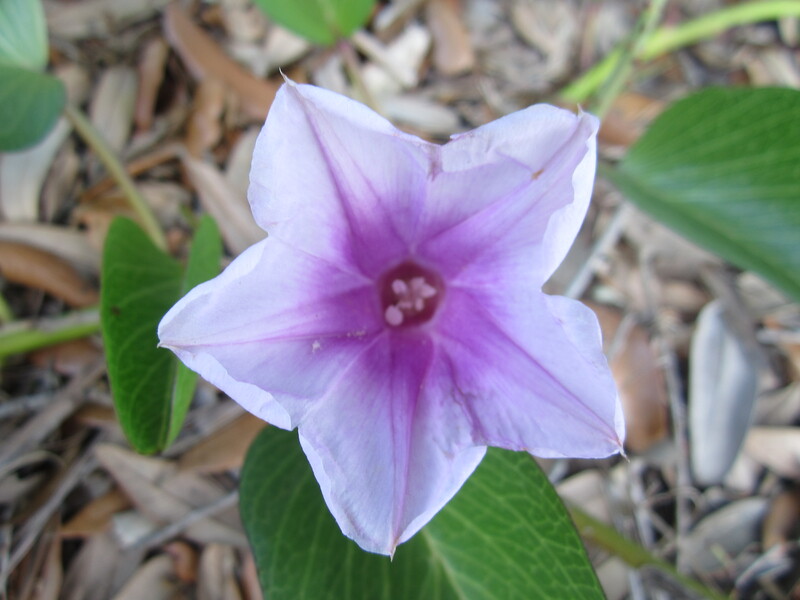 Railroad vine is a very fast growing groundcover that thrives in coastal areas. Geiger trees are medium in size, slow-growing and thrive in warm coastal areas. 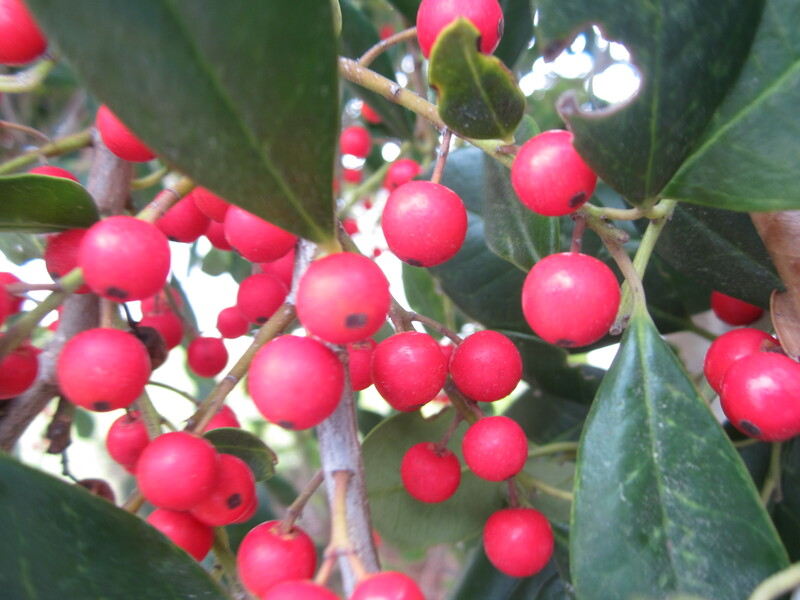 Dahoon Holly display beautiful red berries throughout the winter. Dahoon Holly is found in upland plant communities. 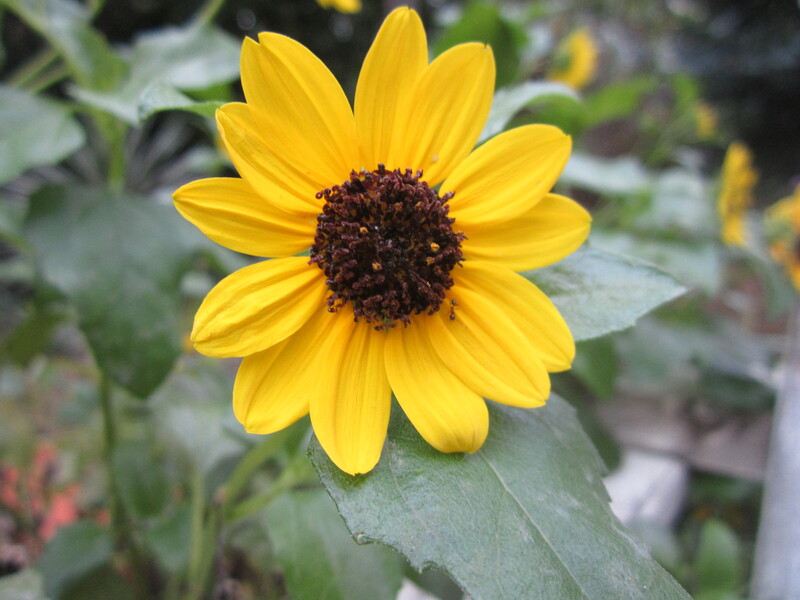 Dune Sunflower is a hardy coastal bloomer that tolerates extreme heat, drought and salt. 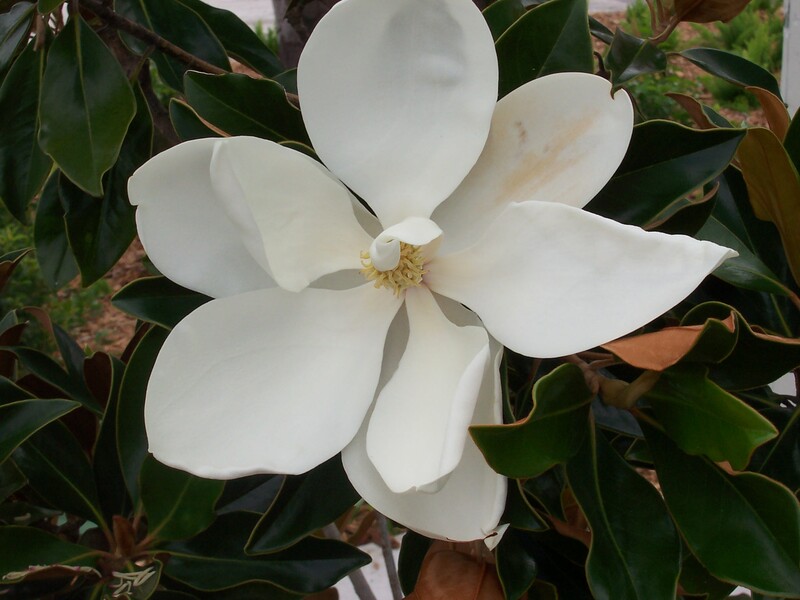 Magnolia is a classic, large flowering tree found in upland plant communities throughout the southeastern United States. 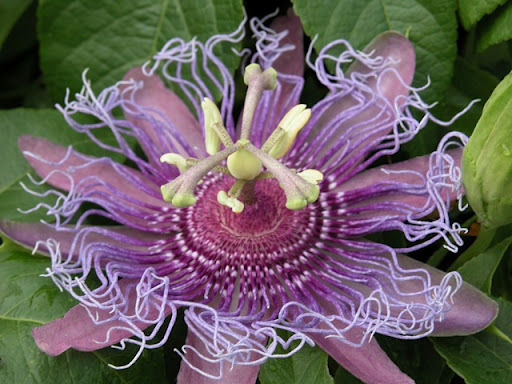 For covering fences, nothing is faster than Passion flower. The bloom is one of nature’s most amazing displays. 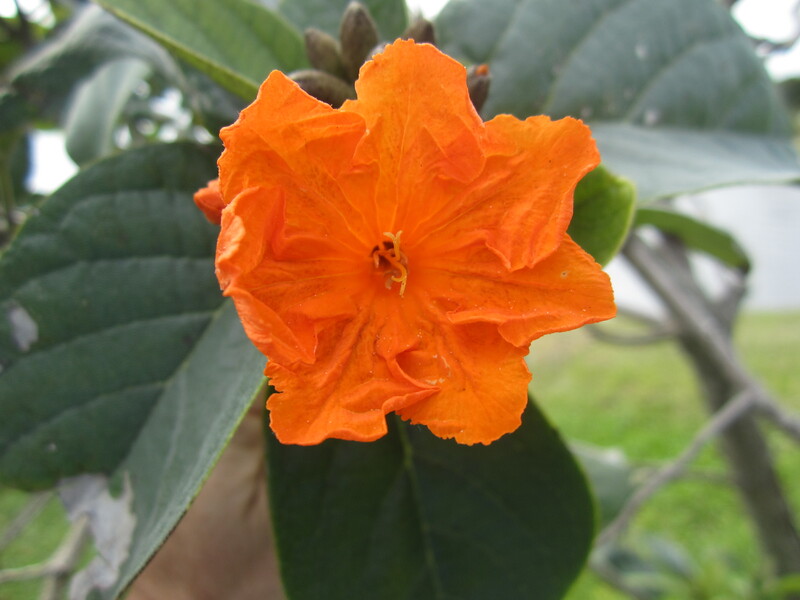 Jamaica Caper is a solid, thick shrub that yield these amazing blooms. 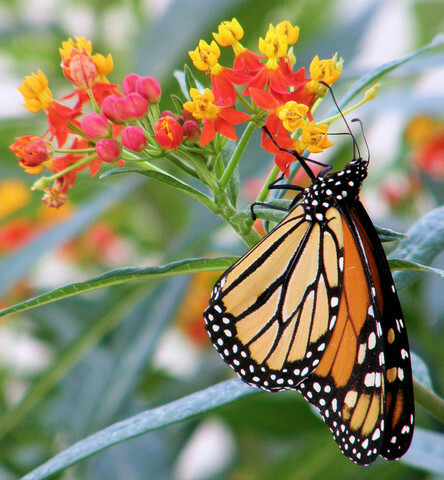 Milkweed is a great way to add color and attract butterflies. If you have wet areas, Buttonbush might be a good choice. 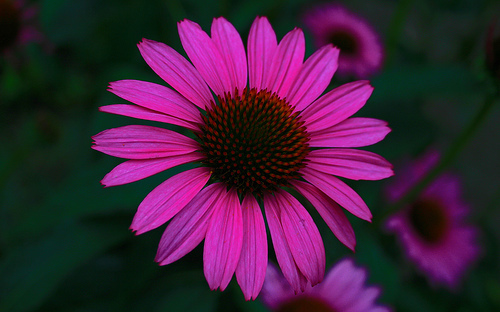 Purple Coneflower is a great addition to your wild flower bed. Coneflower prefers well-drained soils. There are so many more natives with color or interesting texture that we could explore, and I probably will on future posts! If I may be of any help in planning your next landscape project, please call me – 772-419-0024 or email – landarchmike@gmail.com You can also visit my website at www.MikeFlaughLA.com where you will find more information on design and materials. Continue scrolling down to see more about sustainable gardening and other landscape topics I have written about on previous posts. As a native Floridian, my feet are happiest in flip-flops, I sleep through the winter with my windows wide open and I love the feeling of a mild sunburn. My existence is pretty darn simple. If, however, I were to be relocated, say by a hypothetical job or spouse, to somewhere like Alaska, things would change quickly. In order to survive, much less flourish, I would require heavy clothing, constant heat applied to my body, antibiotics to fight the flu and a daily dose of vitamin D to compensate for the loss of sunshine. You see, by putting me where I don’t want to be, you have converted a thriving, low maintenance guy into a very high maintenance person with little chance of survival. This silly analogy has a point, read on! IRRIGATION costs you a fortune in water and repairs, and it is an insane waste of our precious Florida natural resource. The fastest way to reverse this is to eliminate, or greatly reduce, your grass areas. It is not as hard as you think, click this link to see my video on YouTube for details The second best thing you can do is to only select plants that have very low water requirements. Many of our Florida natives can survive with no supplemental irrigation once established. Imagine that, a low water bill, no concern when the water restrictions are in place and no sprinkler repair costs. FERTILIZATION is not only expensive but the nitrogen and phosphorus runoff is a detrimental pollutant to surrounding water bodies. The best way to eliminate fertilizer is to use native plants. More specifically, you should pick natives that are happy with your existing soils and local weather conditions. When a plant is satisfied with the natural, existing soil, fertilizer becomes unnecessary. Fertilizing is basically you fooling a plant into being happy in a place where it is not meant to be! FUNGICIDE AND INSECTICIDE APPLICATION is another thing we do to force plants, palms and trees to live where they don’t belong. It is now popular for homeowners to sign up with lawn spraying companies to do quarterly preventive spraying. This drives me crazy, it is bad enough that we are poisoning our ground with chemicals when our gardens have a problem, but now we are doing it even when they don’t have a problem! Most native plants are very resistant to insects and disease when used in their appropriate ecosystem. Remember, right plant, right place! MOWING EDGING AND TRIMMING can be eliminated in 2 steps. First use no, or very little, turf grass. Gardens without grass render lawn equipment useless. Next, pick plants that have a mature size that fits the space you are designing. Properly sized plants will eliminate constant pruning. Also consider things like succulents, Bromeliads and grassy plants that never require trimming. WEEDING can be a huge problem or a minor chore, it depends on how the landscape is designed. Properly spaced plants fill in quickly and reduce the area for weeds to thrive. Naturalistic designs tend to have less definition between the materials and therefore fewer opportunities for weeds. PERIODIC PLANT REPLACEMENT can be reduced by selecting long-lived plants. In addition to a plants typical life span, you want to increase the chance of survival by following all the suggestions above. So, did you catch that? 5 of the 6 most disliked garden tasks can be eliminated with good plant choice and minimal sod usage! Let me know if I can be of any help. Feel free to post questions or upload photos, I would be happy to hear from you.